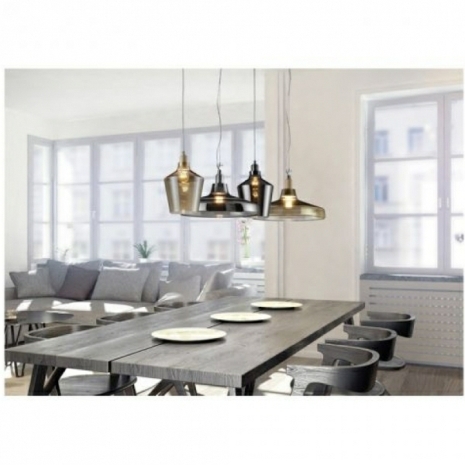 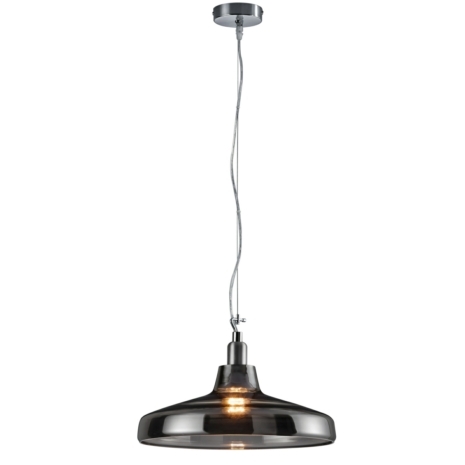 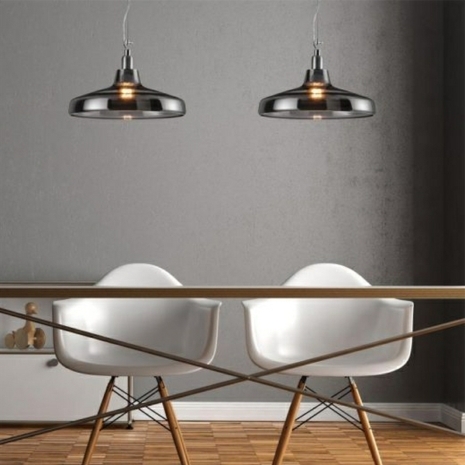 This stunning pendant light from Leyton Lighting is made using aluminium and a smoked glass finish, ideal for any modern kitchen lighting escpecially as a kitchen island focal point or over a dining table. 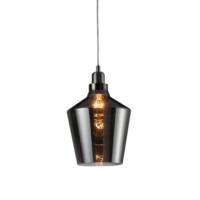 This pendant light also creates a design feature when combined with the calais pendant light. What is the diameter of the ceiling rose / attachment on this light? 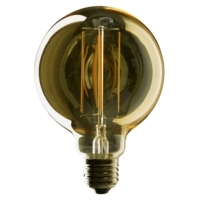 Can you advise of the weight of this light. 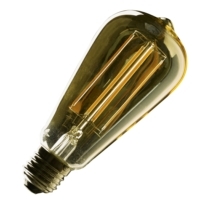 can this light also take an led bulb? 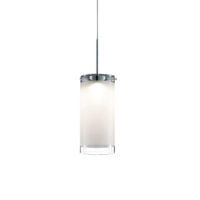 Is this light dimmable? 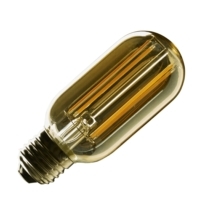 The light takes a E27 LED bulb. 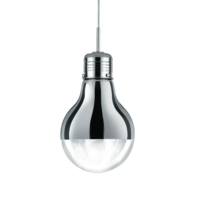 Yes the fitting can be dimmable as long as you use a dimmable LED bulb. 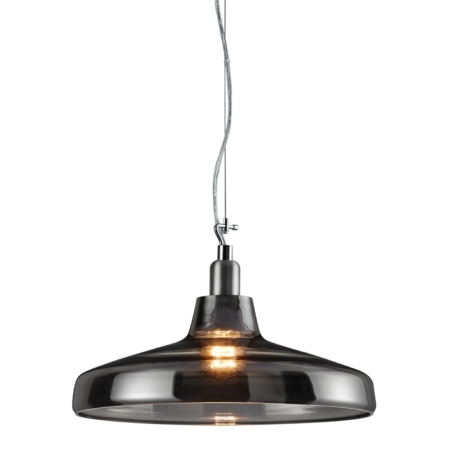 Is the drop adjustable on this ceiling pendant?